Talk of South West England and there are plenty that dive headlong for Devon and Cornwall. But what of caravan holidays in Somerset, Wiltshire, Gloucestershire and even a citybreak in Bristol or Bath? There’s outstanding countryside of international importance and a heritage that makes Britain great. Take Somerset, for example. 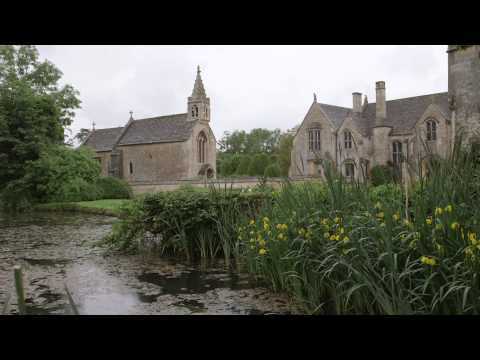 Think mellow stone and pastel-yellow tinged limewash houses creating idyllic hamlets with names straight out of a period drama – Ilminster, Martock, Somerton, Midsomer Norton, Castle Cary and Montacute. And if it’s real period drama that you’re after, well it doesn’t get much more dramatic than King Alfred’s baking disaster – yes, he allegedly burnt the cakes in Somerset! But there’s a lot more to Somerset than quaint sounding names. There’s substance too – and choice. That of traditional seaside holidays in Weston-super-Mare, complete with donkey rides on the beach, and Minehead. Or enjoy spectacular moorland scenery in Exmoor National Park, with the increasingly rare Exmoor pony. There are hill ranges galore, small in square mileage but no less dramatic – the Quantocks, the Mendips, the Blackdown Hills, each one designated as an Area of Outstanding Natural Beauty. The Somerset Levels, a unique wetland landscape of significant importance created one of England's biggest willow growing areas, and consequently associated craft industries. It's celebrated by that giant ‘Willow Man’ seen from the M5 near Bridgwater as people dash past Somerset on the motorway. Why not stop this time and venture off into the county? You’ll also find Cheddar Gorge in Somerset, Britain’s largest limestone gorge – not forgetting the cheese that’s made there, and the cider. Then there’s Wells, England’s smallest city with its stunning cathedral, and the Vale of Avalon, filled with mythological and mysterious traditions harking back to Pagan times and the birth of Christianity in Britain. The Vale's centrepiece of course is Glastonbury, with the famous Glastonbury Tor sheltering the town, and a festival with its own equally mythological and mysterious traditions that bring tens of thousands flocking every summer, come rain (and muddy wellies) or shine. And talking of strange goings on of a prehistoric nature, Wiltshire has its fair share too. The explanation for Stonehenge will forever create discussion across the caravan dinner table, but don’t miss out on Avebury, just up the road (the A345 to be precise), and the collection of long barrows, tumps, iron-age forts and strangely shaped hills in an otherwise flat landscape. Not to mention Wiltshire’s stable of white horses carved into the North Wessex Downs and side by side with the long distance Ridgeway path, an ancient trading and drovers' route. The county has a staggering eight four-legged chalk figures to ponder over their existence. Don’t miss out on Wiltshire’s pretty provincial market towns too, all worthy of a detour – Marlborough, Chippenham, Malmesbury with its ruined Abbey (from where there are stories of a Flying Monk), and the gorgeous Bradford-on-Avon. Salisbury is home to the Magna Carta, housed in the spire-high cathedral, and while Swindon might not be on everyone’s lips as a holiday destination, its railway heritage from the golden age of steam is right up with the best – and there’s a Great Western Railway museum there to prove it. Caravan holidays in Gloucestershire are epitomised by lazy summer days in arguably some of Britain’s most spectacular countryside – the Cotswolds – and cosy pub lunches by a roaring log fire in winter. Interspersed with the most delightful towns and villages, most associated with the medieval wool and textile industries, it’s an area that’s best explored on foot – and that’s perfectly possible with the Cotswold Way – and by bike, hopping from one aesthetically pleasing village or town to another. Look out for Bourton-on-the-Water, Stow-on-the-Wold, Chipping Campden or the grittier mill towns like Stroud, Nailsworth and Chalford. Though Gloucestershire is a county of two halves, divided by the Severn Estuary. To the east, the Cotswold Hills rise above the Vale of Berkeley. West of the estuary, the Forest of Dean is equally attractive for walkers and cyclists, plus its meandering sidekick the River Wye, a canoeist’s dream that separates the county from Wales. At the head of the estuary is the county town, Gloucester, Britain’s most inland port with a magnificent Victorian dockyard, and a renowned rugby team too! And while Gloucester’s docks are filled with narrow boats, Bristol’s dockyard harbours SS Great Britain, reputedly the world’s first great ocean liner made of iron and run by steam. 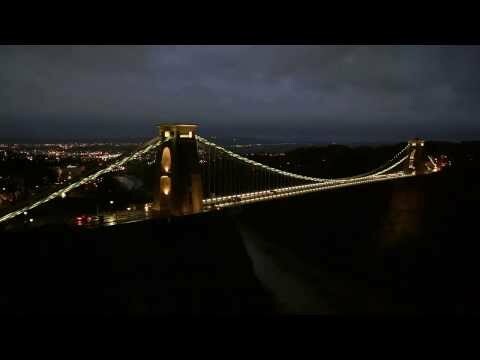 Designed by Isambard Kingdom Brunel, he’s well thought of in Bristol (indeed the country, having come second in a poll of Top 100 Britons) as he also created the industrially beautiful Clifton Suspension Bridge, an iconic landmark of the city. Brunel is not the only famous man in the city though; there’s also Wallace (and dog Gromit) and street artist Banksy, and the city is proud of all three. Salisbury Cathedral, a magnificent specimen of Gothic architecture, has Britain's tallest spire. Not for the faint-hearted is a tour, climbing 332 spiral steps, to the foot of the spire, offering stunning views across Wiltshire. Also on display is the best preserved of just four original 1215 Magna Carta copies, with 2015 marking the 800th anniversary of the document. Wiltshire's significant 'other' is Stonehenge. Visiting the Stones, through the new visitor centre that opened in December 2013, is now by timed ticket only so advance booking is the only way to guarantee entry on the day of your choice. A caravan holiday in Somerset is not complete without a trip to Bath. Visit the Roman Baths and the Royal Crescent, discover Jane Austen's haunts at the Assembly Rooms, enjoy sumptuous afternoon tea in the Pump Room and soak up the atmosphere in the Thermae Bath Spa. Discover Isambard Kingdom Brunel's engineering skills by crossing the Clifton Suspension Bridge, where there is also a visitor centre, and visiting SS Great Britain, the world's first iron ocean liner powered by steam, docked in the centre of Bristol. But remember that there's a four-ton (about 3600kg) weight limit on the bridge. If the combined weight of your tow car and caravan is under that, you can cross for the standard charge – if over, you'll have to enjoy it without your caravan or on foot. Walk sections or all of the Cotswold Way, a 102-mile National Trail that runs between Chipping Campden in north Gloucestershire and Bath, taking in some of the best views of the Cotswolds and the Vale of Berkeley below. You can enjoy a great caravan holiday in this region at any time of the year. The winter months provide the best opportunities for witnessing birdlife, with the Wildfowl and Wetlands Trust at Slimbridge holding its annual Festival of Birds in February, the sanctuary's busiest time of year for migrating birds stopping for a breather. It's also these winter months that give you the best chance to witness the starling murmurations over the Somerset Levels. A natural phenomenon, when thousands of starlings swirl together in a huge ball over the wetlands, the best places to see them are at the National Nature Reserves of Westhay Moor and Shapwick Heath, and the RSPB's Ham Wall reserve. Summer turns into a giant feast of music with Somerset's Glastonbury Festival, the world's largest green field music and performing arts festival, taking place in June and WOMAD, Wiltshire's offering taking place in Malmesbury at the end of July. June's summer solstice is, of course, also the time to descend on, or avoid, Stonehenge. August heralds the Bristol International Balloon Fiesta, Europe's largest balloon event with over 150 hot air balloons taking to the skies. Caravanners will have no problems getting to any of the areas in the south west. The M4 junctions 14 to 18 serve Wiltshire well, with good, wide and relatively straight A-roads crossing the county. The A346/A338 and the A350 run north to south at either edge of Wiltshire, the latter filled with roundabouts every few miles, but with plenty of stopping-off points if required. Somerset and Gloucestershire can be accessed by both the M4 and M5, with the occasional congested spot where the two motorways converge at Filton, just outside Bristol. From the east, the A303 crosses through Wiltshire into Somerset, the road's reputation as being both beautiful yet frustratingly slow at times completely true! Watch out on the A39 Bridgewater to Minehead/Porlock road. It's twisty and narrow in places, though it's beauty west of Minehead, through Exmoor National Park, provides one of Somerset's best views. Gloucestershire's Forest of Dean can be accessed either via the M4 and a very pretty but windy route following the River Wye, or via Gloucester and the A40/A48. Bristol is well served with the M5 and M4 acting as part of a ring road and the M32 spur taking you to the city centre off the M4. There are centrally located campsites – the Caravan Club runs a site in the dockland area, close to SS Great Britain, with a cycle path direct to the city centre. There's a toll on the Clifton Suspension Bridge – it's only a few pence, but they won't accept 5p or copper coins.